In these perilous times of economic woe, here's something a bit more lighthearted when it comes to the shaky world of finance. 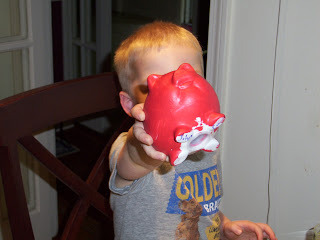 John painted this cute little piggy bank at a summer camp in July. 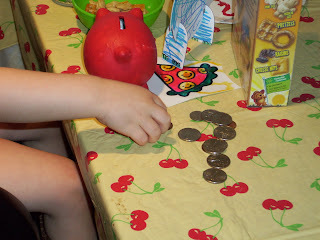 I figured the age of 3 isn't too early to start learning about one of the things that makes the world go 'round...money! Smart boy. He already recognizes that his money is really mine. 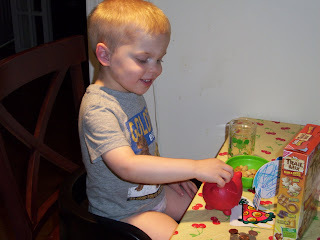 He liked putting the coins in and hearing them clink against one another. Yeah, it's a great sound, literally and figuratively! An important philosophy in life: Who needs pants when you have money?